These good quality natural cow skins have been chrome-tanned. They come in a variety of colors and styles. 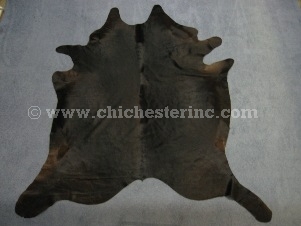 All of the cow hides are approximately 1/8" (3 mm) thick. Our Gxx codes denote individual skins. If you would like to order a specific cow skin, please go to our Galleries to pick the exact one shown. Not always available for immediate shipment. For current foreign exchange rates, please click HERE. Shipping Costs are shown below the gallery of cow skins. The cow hides are shipped in corrugated cardboard boxes. A typical cow hide weighs 16 pounds in the box. The typical box is 6" by 10" by 40". The price calculations below were based on this information and were current as of February 11, 2009. The shipping costs may vary a bit depending upon the actual weight of the hide and dimensions of the box used. We also expect another increase in postage rates soon, but are not sure how these increases will affect international shipments. Shipping Costs within the U.S.A. Shipping costs within the lower-48 states are about US$15.00 to US$25.00 per hide by UPS regular ground service. For example, to send one medium hide from Niagara Falls, New York to Arizona cost US$20.76. For shipments overseas, we recommend using the U.S. Mail Service's Global Express Mail. 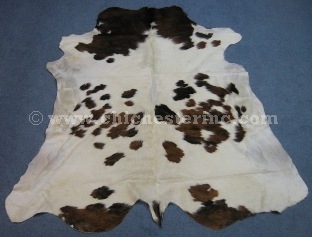 This is the best way to send the cow hides and offers a tracking number. Global Express takes 3 - 5 business days to most countries (not including possible customs delays in your country upon arrival). You can save money by shipping using regular insured air mail, but this takes 1-2 weeks (plus customs delays--which can add up to 3 or 4 weeks) and does not offer a tracking number. We cannot track these parcels and the U.S. Post Office will not investigate a shipment until at least six weeks have passed. We do not recommend this for first-time customers dealing with us--they often get nervous when the shipment does not arrive promptly and there is nothing we can do to speed up service when the post office is shipping it by "slow boat." The cost to ship and insure one hide to Ontario, Canada is US$93.35 by Global Express Mail. Canadian Tariff Code: 4302.19.90.90 (Duty is 3%). Canada Customs may add GST and PST as well as a C$5.00 to C$8.00 processing fee. The cost to ship one cow hide to pre-expansion European Union 15 member states averages US$109.35 for Global Express Mail. For shipments to central, eastern Europe, and Russia, please call or write for a quote. 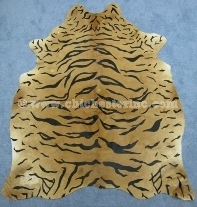 The cost to ship one hide to the U.K. is US$109.35. 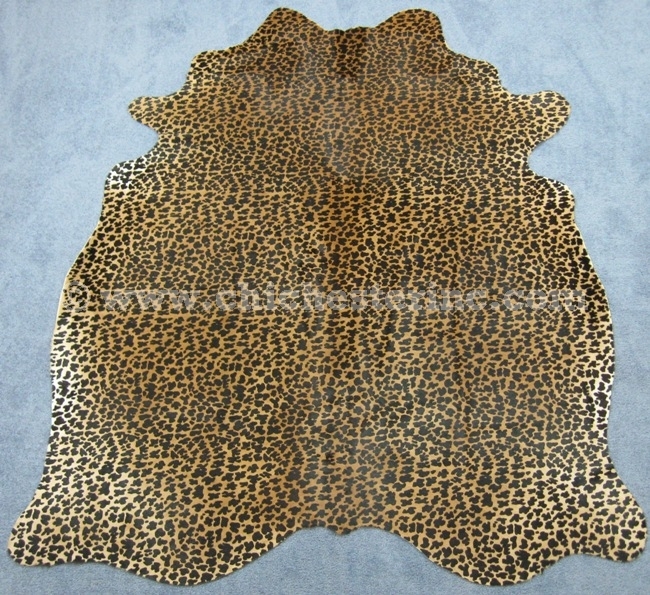 The cost to ship one hide to Switzerland by Global Express Mail is US$109.35. 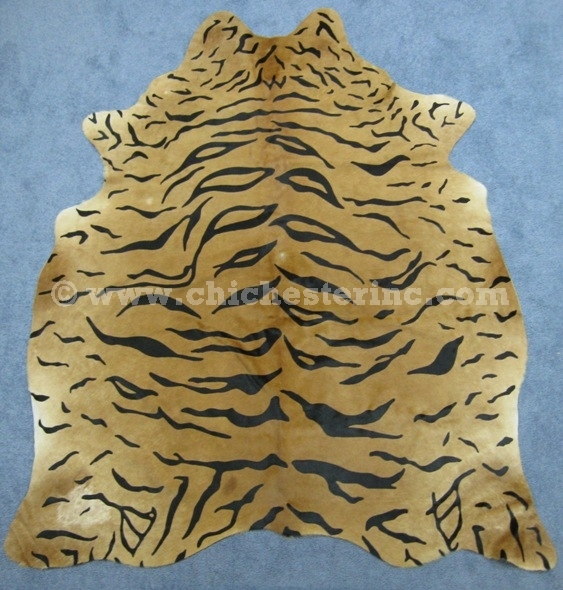 The cost to ship one hide to France is US$109.35. 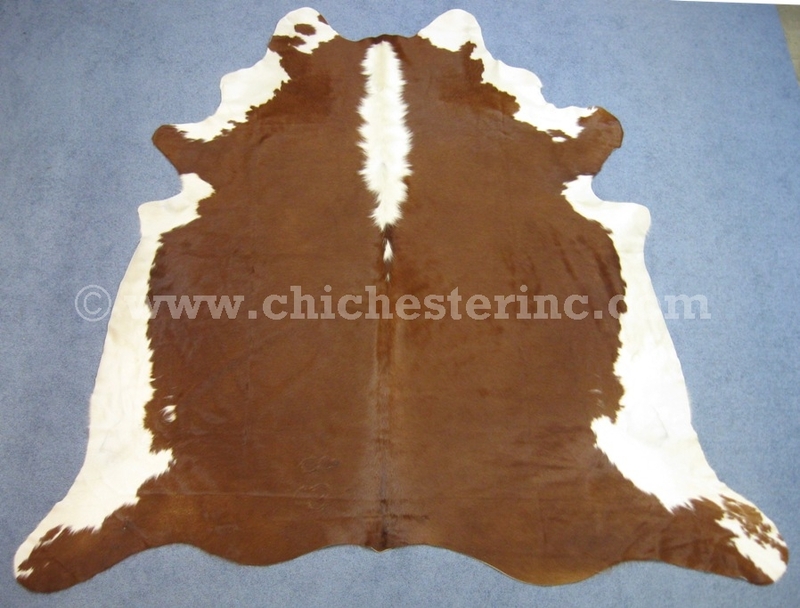 The cost to ship one cow hide to Australia is US$129.85 by Global Express Mail. The cost to ship one cow hide to Japan is US$118.35 by Global Express Mail. 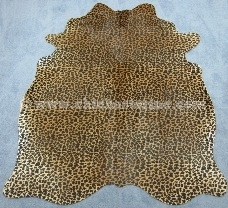 The cost to ship one cow hide to Greece via Global Express Mail is US$109.35. Shipments by UPS are typically more expensive and usually come with brokerage charges in your country. We do not offer international shipments by FedEx because they come after us to collect duty and charges if the customer does not pay. There are no export controls from the United States for these cow skins. The skins have been professionally tanned and cows are not endangered. We have never experienced customers having any problems importing tanned cow hides into their countries (other than delays caused by customs). 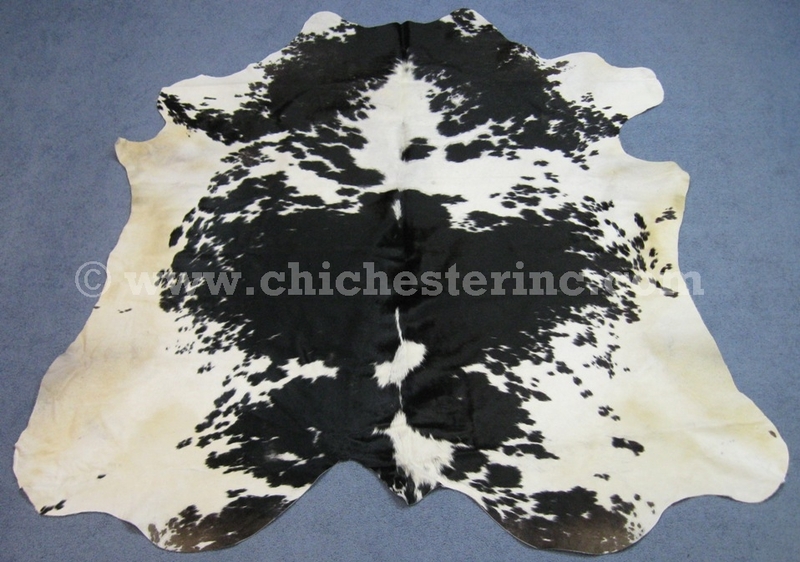 We also carry many other cow skin products including Cow Skin Laced Rugs and Cow Hide Carpets. 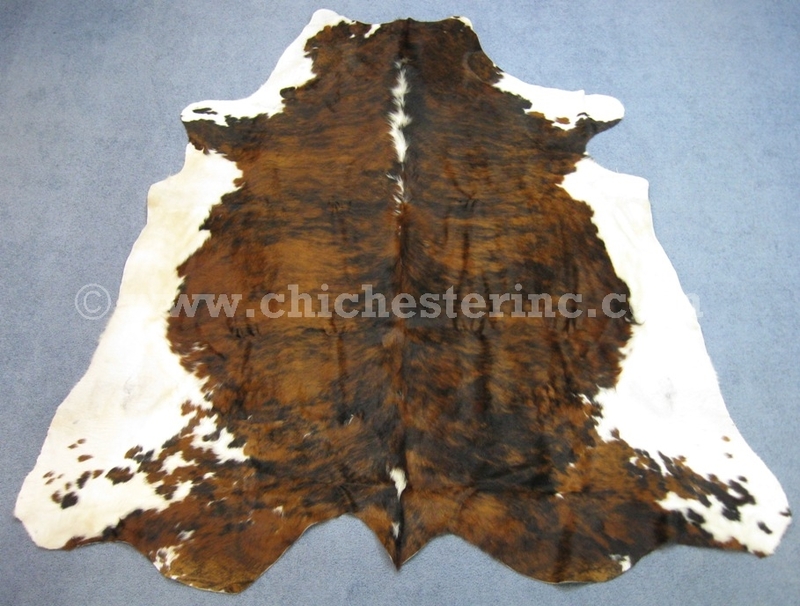 Please click HERE to see our other Cow Skin Products. Where do the Hides Come From? Our cow hides come from Argentina, Brazil, and Peru. The hides are a by-product of the food industry. The cows are not killed just for their hides. We scour the world for the best quality hides available. Our hides have been tumbled between two to four days to ensure that they are soft and supple. We have many satisfied customers around the world--and hope that you will be one, too. Your satisfaction is guaranteed. If you are not 100% satisfied with the hide when it arrives, send it back for a full refund (less shipping costs). We also offer a lanolin-based cleaner called EucalanTM. Click HERE for more information. 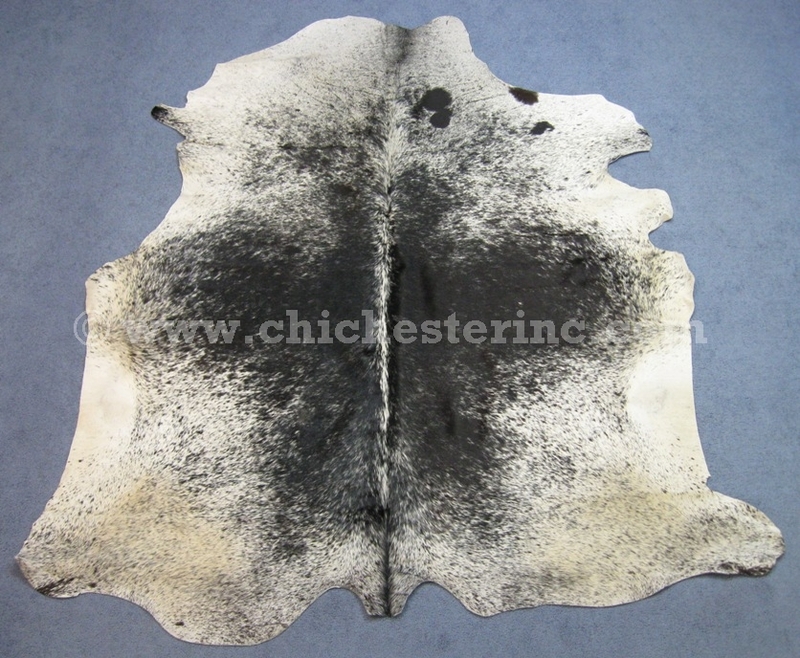 Cow hides are a beautiful natural product that can be enjoyed for years. We hope that you will enjoy yours.